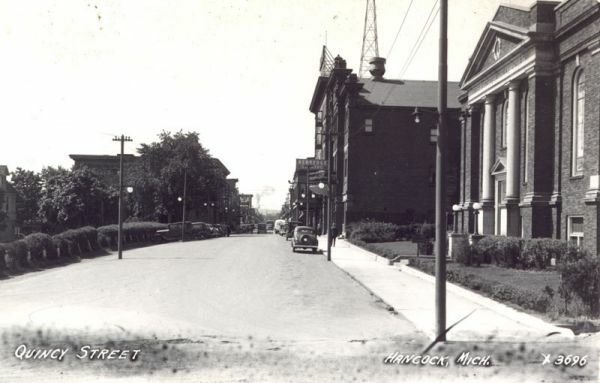 Quincy St., looking West, from Dunstan St., probably taken in the late 1920's, or, in the 1930's. Note the Congregational Church (R), Kerredge Theatre, and mostly hidden on the right, the Scott Hotel. Note also the large radio tower on top of the Scott Hotel.